The Bloomberg Dollar Index is lower after positive economic data out of China creates a risk-on vibe to lift commodity currencies and support global equity markets. The greenback trades lower as better than expected economic data out of China buoys risk appetite. Despite early dollar weakness, the US trade deficit narrowed 3.4% in February which could signal a calming of global trade angst. The Fed’s Beige Book will be released this afternoon and examined by markets for any indications of further dovishness. Sterling weakens after UK headline CPI data missed March forecasts (1.9% y/y versus 2% y/y). Yesterday’s robust employment data could be downplayed by more recent PMI surveys already showing a reduction in the UK’s service sector. 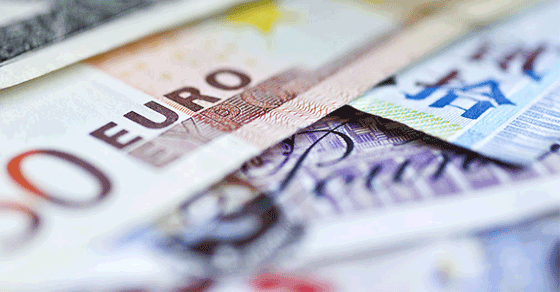 The euro matches last Friday’s 3-week high on the back of positive Chinese GDP data. ECB official, Ewald Nowotny, mentioned the region’s central bank is unlikely to lower its growth forecasts significantly in June, and expects the Eurozone economy should stabilize in H2 2019. The loonie is the strongest G10 currency today as headline CPI came in line with expectations. Inflation ramped up in March to 1.9% due to a pick-up in gasoline prices. Investors will watch for retail sales data out tomorrow. Chinese renminbi advances after Q1 GDP, Industrial Production and Retail Sales data showed better than expected numbers. While the positive data out of China boosted AUD to two-month highs, signs of progress on the US-China trade front has the Japanese yen on a downwards trend.